Report submitted on 12 June, 2015 by Mohsen Shabani. How can teachers find teaching jobs in Tehran, Iran? In my country it will be easy to teach English but the point is teachers should be experienced and fluent English speakers. For example, an Indian teacher was unsuccessful in my country. Full time English language school positions, part time English language school positions, agencies (send teachers to different locations), teaching at kindergartens / pre-schools, teaching at state schools, teaching at private international schools, teaching at colleges / universities, teaching at companies, teaching at community centers, etc., private teaching (not through a school, agency, etc.). US$1 up to US$10 per hour for an Iranian. US$20 per hour for native English speakers or near native and experienced teachers. What advice would you give to someone considering coming to Tehran, Iran to teach English? Contact our school: Tehran Safiran Language Academy. What are the positive aspects of teaching English in Tehran, Iran? Every Iranian likes to have classes with native English teachers. The local teachers will be surprised to have a native English teacher near them and they will become friends immediately. Are there any visa or other legal requirements to live in Iran? Yes, we can support the teachers for receiving visa immediately. What is the cost of living like in Iran? US$300 per month necessities, going out, etc. Our school offers accommodation for teachers. Other than teaching, what positive aspects are there for living in Tehran, Iran? Iran is a historical country and also it is a huge market with 80 million people. There is a lot of fun for English teachers to be a tour guide in Fridays. Other than teaching, what negative aspects are there for living in Tehran, Iran? Women have to wear a scarf which may be difficult if you are not used to it. What advice would you give to someone considering coming to Tehran, Iran? Contact us we will provide services and help you for free as a friends. You can find and buy everything from all over the world in Iran. Students I’ve taught in Iran: Pre-school / kindergarten (4-6 years), elementary (6-12 years), junior high school (12-15 years), high school (15-18 years), university, adults, business. Where I teach: Safiran Language Academy, Tehran. Teaching here for 15 years. My school facilities: Very good – technology access / school library / classrooms / textbooks / etc. Do you teach English in Iran? Tell us about your experiences – click here to submit your report about teaching English in Iran. I’m an Iranian by birth and a native English speaker, having lived in Canada for the past 25 years, with over 5 years of English teaching experience and over 10 years experience working with school aged children. It would be an honour for me to practice the English language with anyone looking to learn it. Please don’t hesitate to contact me with any questions. Hi, I’m British with teaching experience as well as qualifications and am keen to teach English in Iran. As a female, I would like a job with secured accommodation. Any advice would be gratefully appreciated. Thanks. I am a certified English language Instructor from Canada. I have MA in Teaching English to Speakers of Other Languages (TESOL) from University of Nottingham, England. I have been teaching English Language to university and college students of all ages for many years in Canada and at prominent universities and academic institutions in other countries. I am seeking an English language position in Iran. Your kind help in this regard will highly be appreciated. My name is Umeed and originally I am from Tajikistan. Currently I stay and work in UAE but teaching is my passion. I am an English teacher by profession and I hold an international certificate for English teaching as well. If you want I am interested to teach you and help you to increase the level of your English language. You can write me a reply by this address for futher informations. I just came across this site when I am browsing about teaching work in Tehran, was there in Iran for a month and came home here Philippines last January 16, 2017. After that i really wanted to go back simply because I am spellbound by your country. With this, I’m thinking of finding a job there so that i can at least stay for a year. When I came across this, I tried asking my friend there to contact Mohsen Shabani through number stated here (+989125872131 ) but my friend said it’s not functioning, so leaving a message in comment section is the only way for me to reach out. I want to explore possibility of me teaching there, kindly please get back to me on this.Really hoping to hear from you soonest possible. Amirbahador Educational Complex (AEC) has vacancies for Native English Speakers to collaborate as test center staff and a TOEFL instructor with a considerable payment. Qualified applicants will benefit from a paid OJT (On the Job Training) before starting their professional jobs. Interested applicants can send their CVs directly to me at manager@amirbahador.com. I am presently living in Sweden, have a plan to visit Iran this summer. During my stay there, I like teaching English language in Tehran as school or private teacher to some one if my accommodation is provided there. It is nice to know that learning of English language is encouraged in Iran/Tehran which is very fascinating for the English teachers in which, I definitely include myself as an English Teacher. I’m an Iranian born Canadian citizen, who has been living in Canada since the age of 5. I’ve got a degree in child psychology from a renowned University in Toronto, and I’m currently in Tehran under the end of October. I’ve taught English as a second language to primary school aged kids in Thailand for the past 6 months, and I have plenty of experience working with children, on top of my specialized degree. If there’s any English teaching jobs available for me until the end of October, or if anyone is looking for a private English teacher, please do not hesitate to contact me at 09385199871 or parisa_b@live.com . I find this job appropriately fitting to my pedagogical expertise and experience. I have worked in academia for 25 years, and served as a lecturer at a junior college (Umm-Habiba Higher Secondary School) affiliated to the Ministry of Education in Oman, for 13 years.Presently working in Qatar CBSE International. I am a police officers in the USA and TELF certified. I am looking for a change of career in teaching English. I have plenty of experience in in teaching and tutoring English grammar as well as economics and history. You can reach me at johnjorens@yahoo.in. Hello! I am a native English speaker from the United States and am a college graduate and TEFL certified. I taught English for a couple months in India at a school for children and briefly had a job in Moscow teaching. I would be very interested in looking into jobs in Iran and would be very grateful if someone could give me some direction in potentially obtaining one. My email address is mvic81818@gmail.com. Thank you! I would like to teach English as a Second Language inIran. What doI do? I am currently a third year undergraduate student in the United States and a native speaker of English. I hold a position as a teachers assistant at our University’s English Language Institute for ESL students and am also a teachers assistant within our Foreign Language and Literature Department for Arabic classes. I study Farsi in my spare time, and Iran itself has become somewhat of a fascination of mine. Working as a teacher within Iran at any capacity would be an invaluable experience and I look forward to hearing from you. I have taught English, law and business for the last 10 years in Syria. I have also trained 500 teachers in the Berlitz method of teaching languages as a second language. Recently , I was appointed Director of Berlitz Syria and Academic Director of a high school in Damascus. I also have a degree in political philosophy and law. I am also a member of the Quebec bar association for lawyers in Canada. I am currently teaching in KSA. I would love the opportunity to teach in Iran. Ideally at lecturer stage, college or university. if you still live in Iran and are interested in working with kids in English as a private instructor, I would be grateful if you contact me. my family and i gonna to immigrate to Australia and its necessary to improve our language. 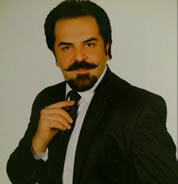 Hi I am Hossein from Iran, my wife and I need a English teacher. If you can help us. I am a native and experienced English language teacher , worked in 5 countries so far. I want to know about application procedure and timeline for applying at your work place. Please let me know soon. Have a nice day. I’m trying to contact you via the phone number provided. I have a M.Ed. in Curriculum and Instruction for English Learners. I’m trying to procure a teaching job in Iran. have got a bachelor degree from the USA. I am also fluent in English with an American accent, as well as having extensive experience. I have been teaching IGCSE Cambridge in international schools in Kuala Lumpur, Malaysia for the past five years. I am very interested in working in Iran if the pay is as attractive as you have mentioned. Furthermore, I was a translator for the IRIB for 8 years translating English movies for Persian dubbing. I also was a subtitle producer translating Persian dramas and movies to English for Jam-e-Jam channel. I have got a bachelor degree from the USA. I am also fluent in English with an American accent, as well as having extensive English teaching experiences in many countries. Currently I am teaching in Libya at Ladybird school, which strictly follows American curriculum. I would love to share my knowledge with Iranian people, please contact me. Thanks. Would like to teach English in Iran. I am from South Africa and my native language is English. Please get in contact with me via my email. I’d like to have more information about teaching English in Tehran. I am interested in finding a job teaching English.